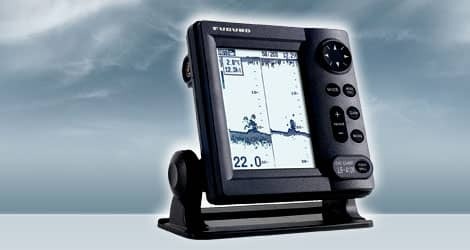 The LS4100 is a dual frequency fish finder designed for small pleasure craft. It features a waterproof 5” high-definition silver bright LCD screen that offers a remarkably detailed picture of fish and bottom structure. With a resolution of 240 (H) x 320 (V) pixels, it has the highest resolution in its class! The LS4100 offers dual frequency capabilities, both 50 and 200 kHz, and has an outstanding 300 W RMS (2,400 Watt peak-to-peak) output power, making this fish finder the leader in its class. The LS4100 has the unique ability to be a handy navigational organizer when connected to appropriate sensors. It can display a variety of information including: water temperature, wind direction/speed, Lat/Lon, XTE and distance run in a graphical or text format. With the BBWGPS GPS/WAAS receiver connected, the “Mini-Navigator” feature is capable of storing up to 12 waypoints with a programmable name. Any waypoint can be selected as a destination.